As more breweries open across Australia, as the craft beer industry continues to grow and as competition intensifies, more breweries are focusing ever more keenly on the quality and qualities of their ingredients. There has been plenty of discussion around hops in particular – new varieties and new types such as lupulin powder – while there's growing interest in the impact that barrels, wild yeasts and bacteria can have on beer. Yet, perhaps surprisingly, there's been less attention paid to the ingredient that provides beer's backbone and much of its character: malt – at least among consumers who can be more easily impressed by, say, a punchy hit of hops. It's a situation that is changing, however. 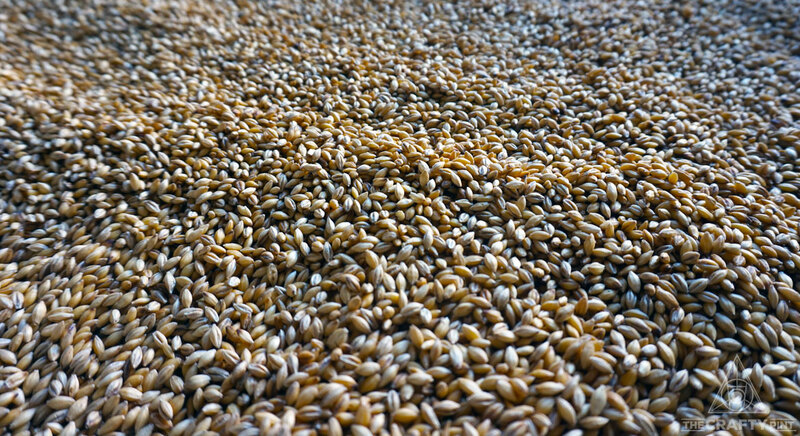 New malting operations are appearing around the country and overseas, looking to create new varieties of malt that will give brewers more new flavours and textures to play with. We've written about a few in the past – Voyager in New South Wales, Gladfield in New Zealand among them – as well as the tiny setup at Lobethal Bierhaus in the Adelaide Hills, which will be one of three young operations in South Australia by the end of the year. Barossa Valley Craft Malt has developed a tiny setup on its farm in the Barossa Valley and Coopers is building a state of the art plant ready to start production by November 2017. The latter of these is a $64m operation being overseen by Dr Doug Stewart, who learned his trade working for the now defunct Adelaide Malting Company that was three quarters owned by Coopers. It will give the 155-year-old brewery another string to its bow, one that already has one successful side business: supplying homebrewers across the country and overseas with malt extract – an arm of the business that makes up nearly 40 percent of its output. An aerial shot of Coopers' expanding home in Adelaide. 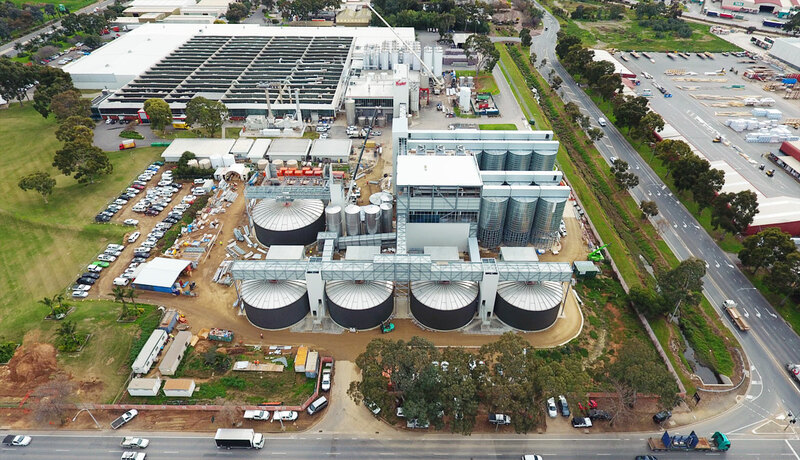 Once the facility is up and running, Coopers will source its raw barley from farms within South Australia. A desire for environmental sustainability is one of the forces driving the new wave of maltsters – as well as the brewers utilising their malt. Sustainability and paddock to glass or "paddock to pint" are ideas that have become important aspects of brewing of late. If an ingredient is being produced and farmed locally, then brewers have a greater chance of knowing the process the grain has gone through – that they're supporting local businesses is another positive. It consists of an aerobridge connecting it to the brewery for visitors and brewers to make the easy trek between the two. There is a conveyor that feeds the brewery directly from the malt house and the steep house will resemble the brewery with stainless steel vessels. The finishes will be consistent with the brewhouse too, with the same flooring, colour work and floor to ceiling glass paneling enabling staff and guests to look out from the steep house over the germination vessels. Interest in new malt varieties, provenance and "paddock to pint" is helping drive a new industry in parallel to craft brewing. “There has been a lot of thought put into this from an aesthetics point of view, but even more thought in relation to processing of the grain,” says Doug, the intention being that they will have greater control over an extra stage in the beer production process, enabling them to produce more consistent malt with which to brew. Once it opens in November, Coopers plans to produce 55,000 tonnes of malt within a year. A third will be used for brewing at Coopers, with the other two thirds to be sold. Beyond that, there is room for expansion. “With the selling of the other two thirds, we really want to concentrate on the craft industry," says Doug. "We will specifically do batches for the craft industry. We have 12 silos here and the reason for this is so we can put a different variety in each. “We also want to do heritage varieties as well. We are contract growing through Glencore Grain in South Australia and we are bringing the Schooner variety [one of the key varieties produced at Voyager] back to the craft industry." Schooner malt was bred at The University of Adelaide by Professor David Sparrow, who was previously on the team that helped develop Maris Otter in Cambridge in the UK. “The reason it is called Schooner is because David had a love of sailing boats," explains Doug. "A schooner is a sailing ship and these boats were used to collect the barley from the different sites around South Australia. “We also want to do regional [variations], like single origin malt. What we want to do is have barley that comes from regions around South Australia, such as Barossa Valley, Clare Valley, Kangaroo Island etc and have a single origin and a single brew from that region. 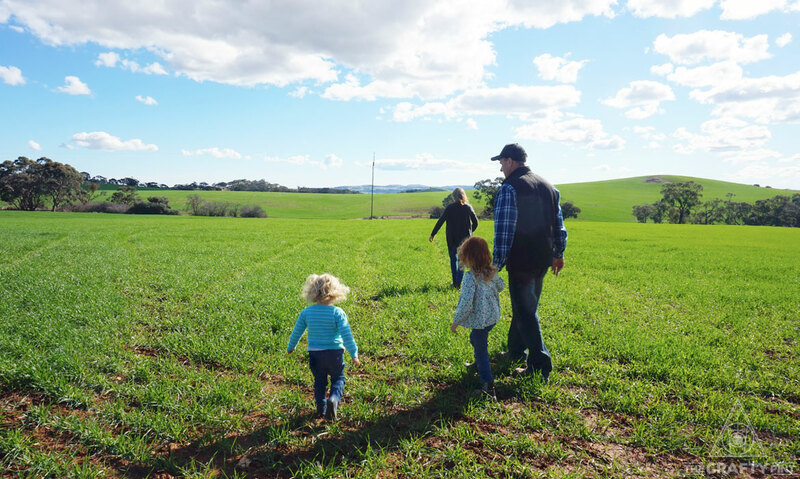 Tom (left) and Melissa (top) Ryan and family at their Barossa Valley farm. On a rather different scale is Barossa Valley Craft Malt. 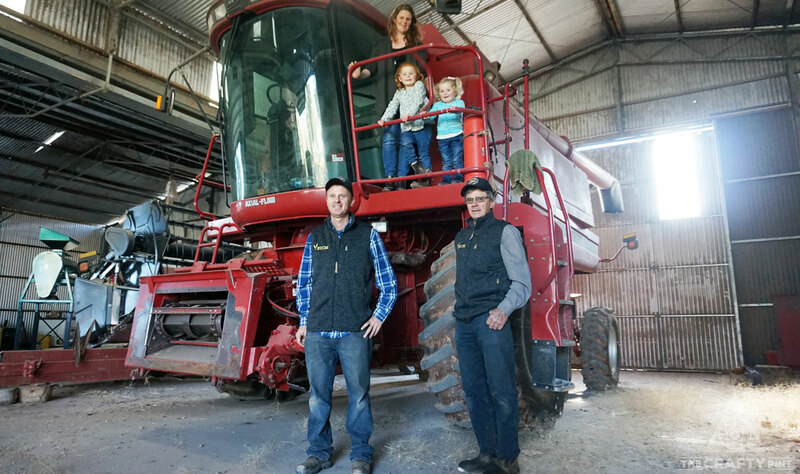 Tom and Melissa Ryan are fourth generation farmers, growing wheat, canola, pulses and barley. Their setup uses repurposed equipment built by Tom and his dad that allows them to carry out the three step process of steeping, germinating and kilning in the large farming shed on their family farm. After growing and reaping the barley, the first malting process is the steeping tank: a plastic 1,000 litre shuttle with a false floor. The now shooting barley is transferred to their all-in-one germination and kilning vessel and monitored closely for four to five days until the barley has reached a certain stage of growth. Equipment such as a reverse cycle air conditioner, water jets, humidity controllers and a freezer have been converted to create an air chamber in which they encourage the grain shoots (acrospires) to grow to a certain length. This same vessel then becomes the kiln, where hot air is run through the grain to create a specific malt style; Pilsner, Vienna and two row base malt were the first three produced on the farm, which is capable of producing around 350kg per batch. 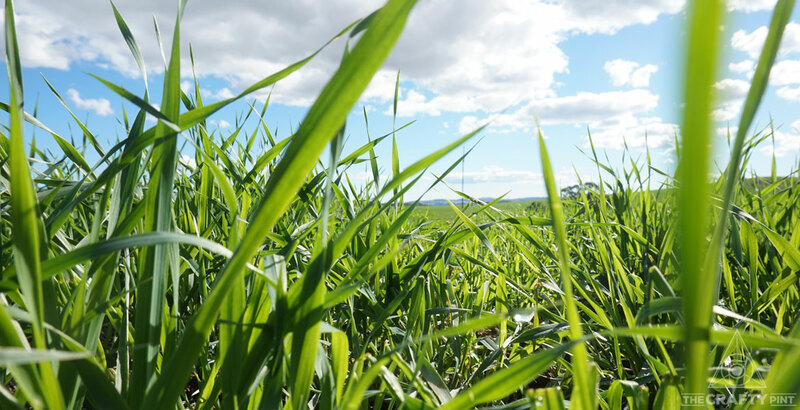 The family is using Compass and Commander barley varieties bred by the University of Adelaide, whose varieties have, since the 1968 launch of the hugely successful variety Clipper, accounted for more than 50 percent of national barley production. Preparing the fifth generation of Ryans for lives as craft malsters. To date, malt from Barossa Valley Craft Malt has been used by a few smaller breweries in the area, including the Western Ridge Brewing and Distilling Company. The brewers there created a Golden Ale called 20k, a reference to all the ingredients in the beer being sourced within 20 kilometres of their brewery. The hops came from co-owner Alex Marschall’s backyard and the yeast was a fourth generation strain from previous brews. Western Ridge plans to make another two beers using Tom’s base malts to tie in with the locally sourced theme. With The Crafty Pint bumping into Drew Graham, who plans to launch a floor malting operation called House of Malt in Ballarat by Christmas this year, there will soon be even more specialty, storied and local malts available to the country's beer industry. It promises to be a boon for farmers too and, if it can achieve even a portion of the buzz typically reserved for hops, should help raise awareness among drinkers of the close links between the land, farmers and the beers we enjoy. 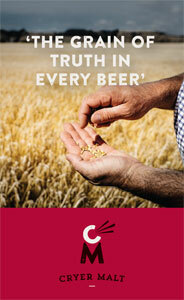 You can find out more about Barossa Valley Craft Malt here.